During World War II, the Simard brothers saw an opportunity to expand their business endeavours into a new market: manufacturing weapons. 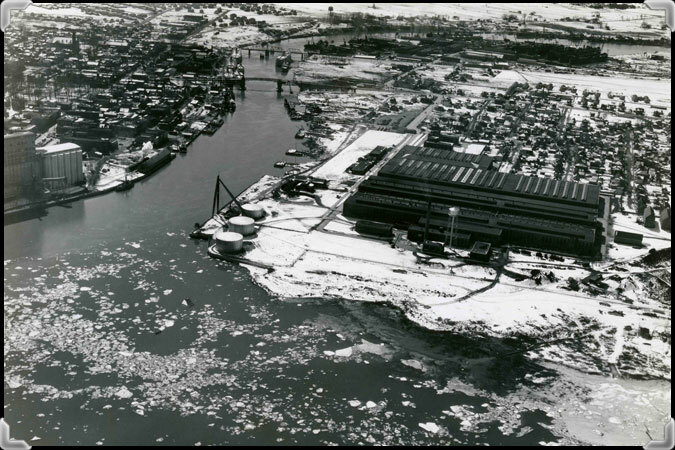 In 1939, they founded Sorel Industries Limited, which would manufacture cannons and shells. 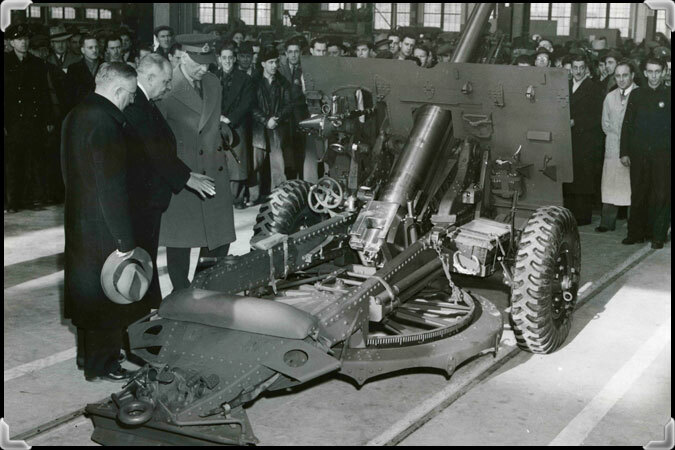 During a ceremony held in 1941, Édouard Simard (centre) proudly presents a prototype of the 25 pounders cannon produced by Sorel Industries Limited to Ernest Lapointe, federal Minister of Justice (left) and Sir Alexander Cambridge, Earl of Athlone and Governor General of Canada (right). This weapons plant employed up to 3,000 people, kicking off a period of great prosperity and full employment in Sorel. 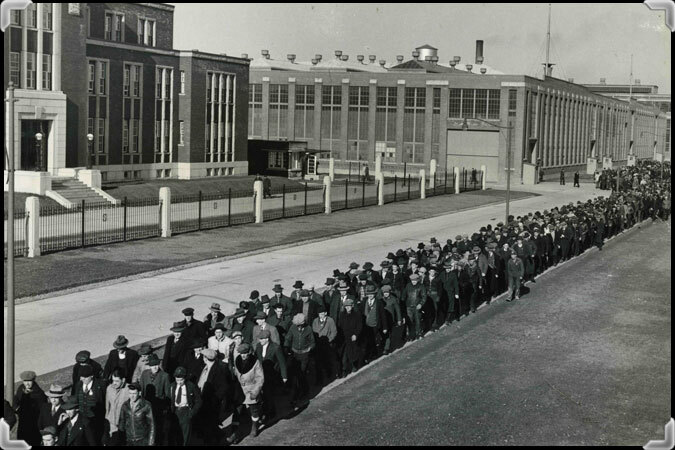 During the war, many people moved to Sorel to work at the plant. The post-war period was a more difficult time, and Sorel Industries Limited shuttered its doors in 1959. 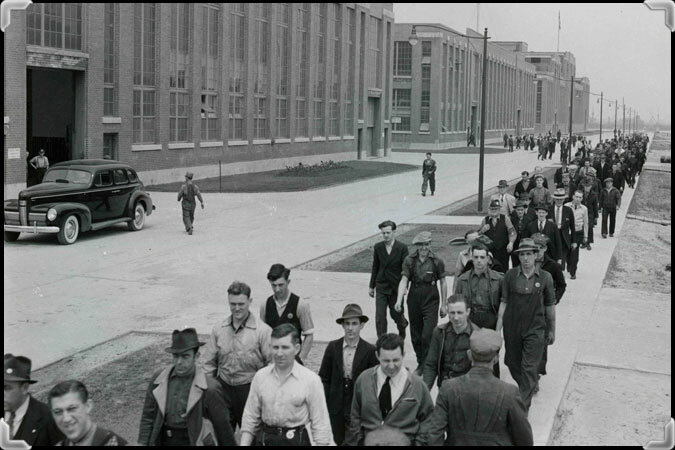 Workers exit the Sorel Industries Limited plant, around 1942. 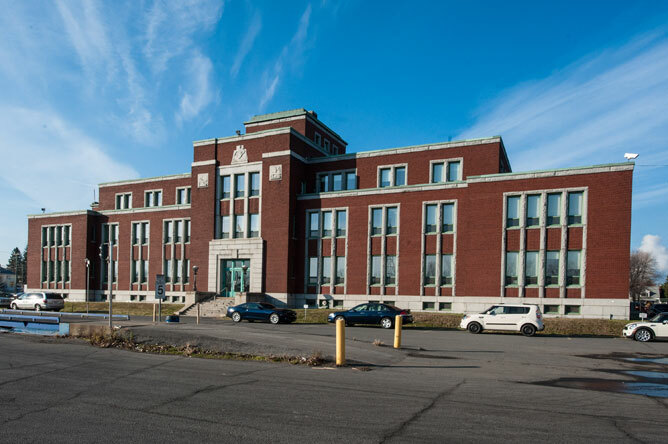 This building, which once housed the offices of Sorel Industries Limited, is now home to Fagen International. 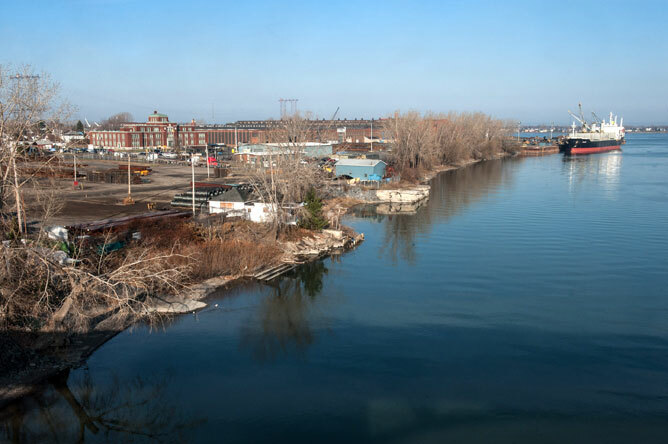 The company has taken over the lot and buildings once owned by Sorel Industries Limited along the shore of the Richelieu, near the St Lawrence. 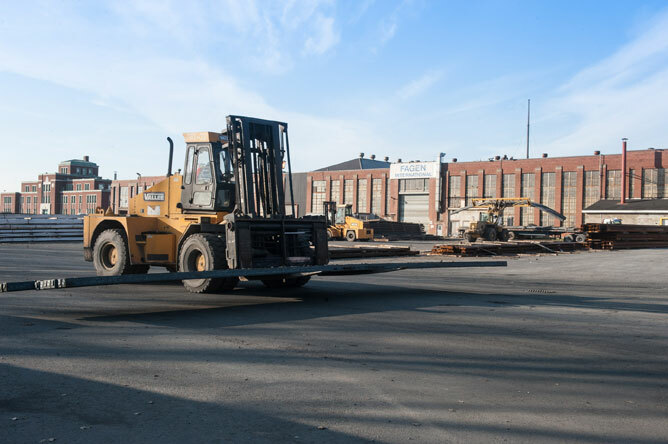 Fagen International was founded in 1994; its activities include buying and reselling metals and leasing out warehouse and office space. 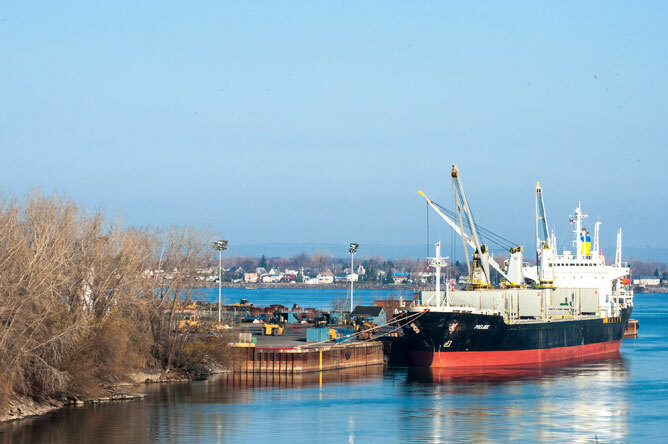 Various products are received at and shipped from the wharf near the premises of Fagen International.